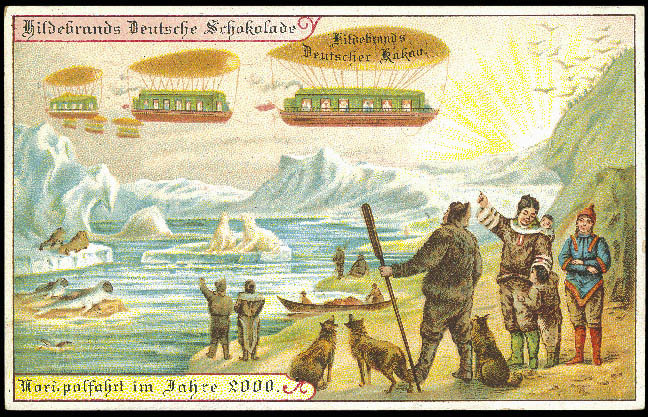 Paleo-Future reader Tom T. sent me an amazing collection of postcards from the dawn of the twentieth century that depict what life would be like in the year 2000. 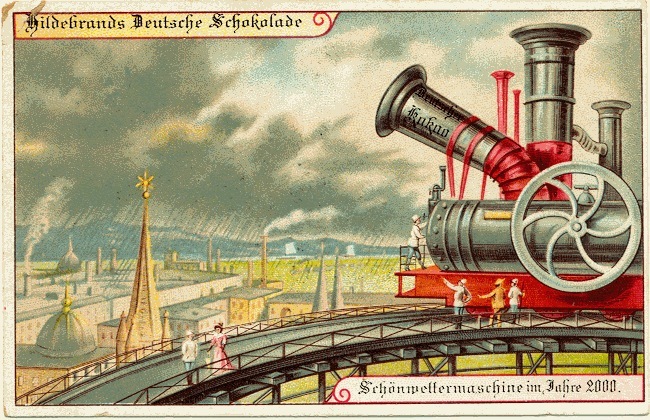 According to Tom the postcards were originally featured here but have since been removed. 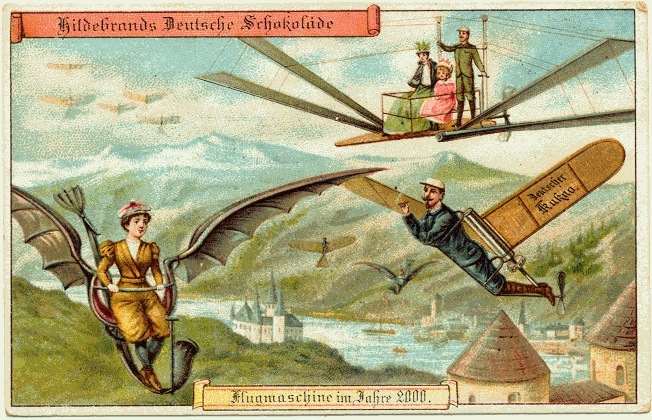 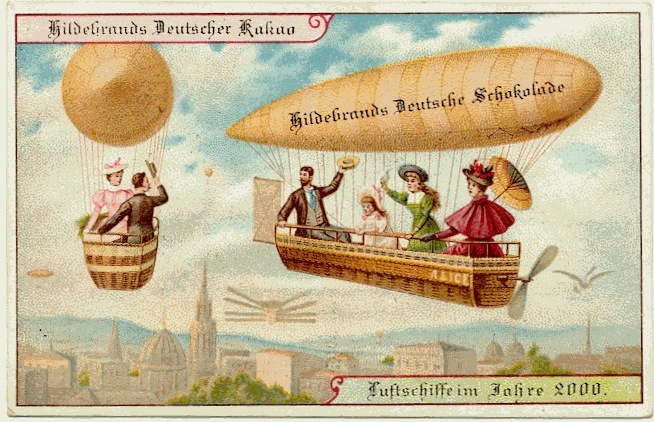 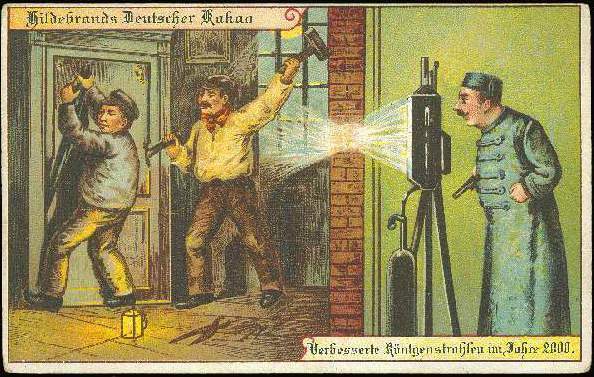 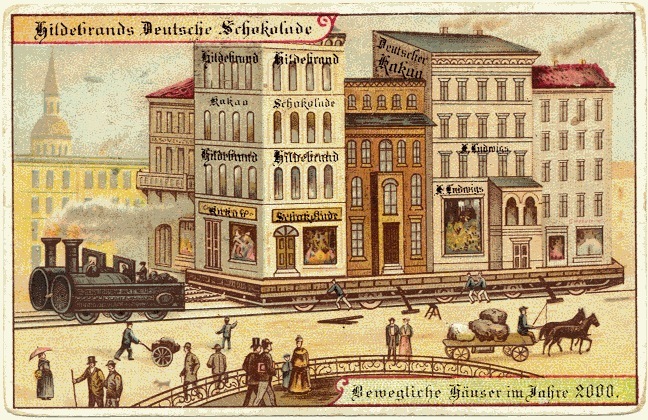 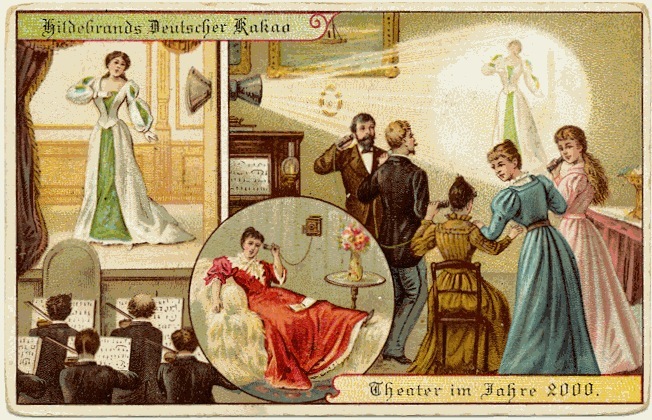 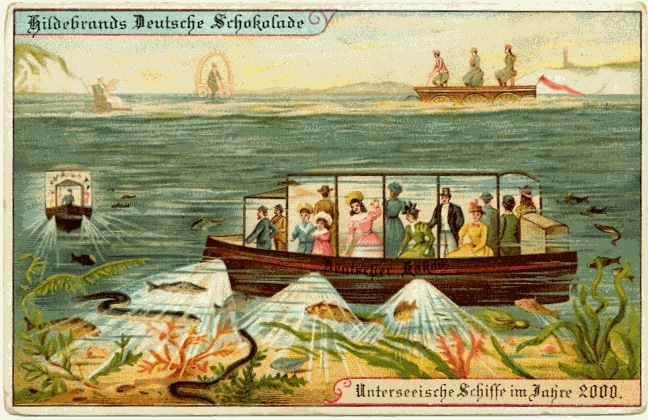 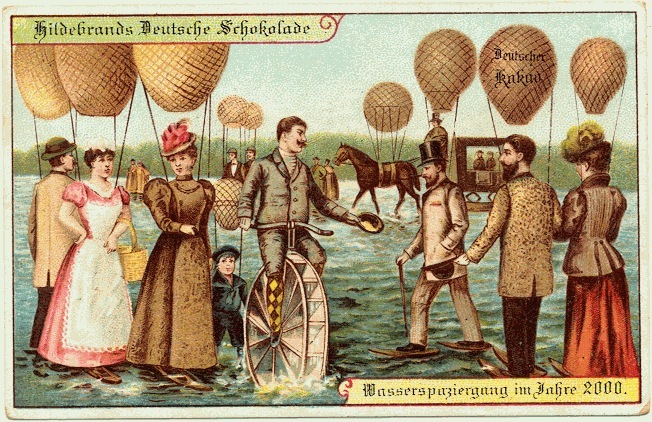 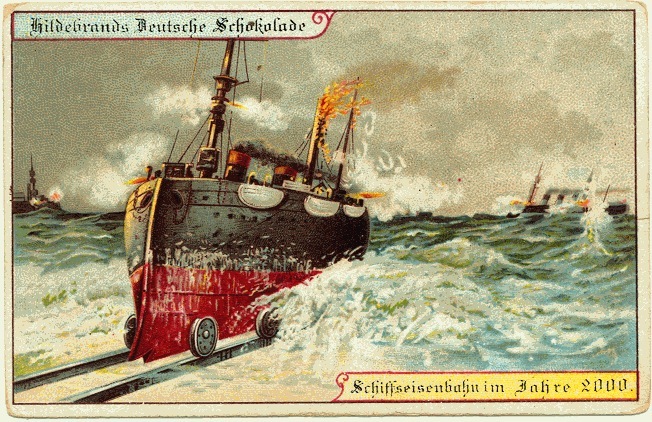 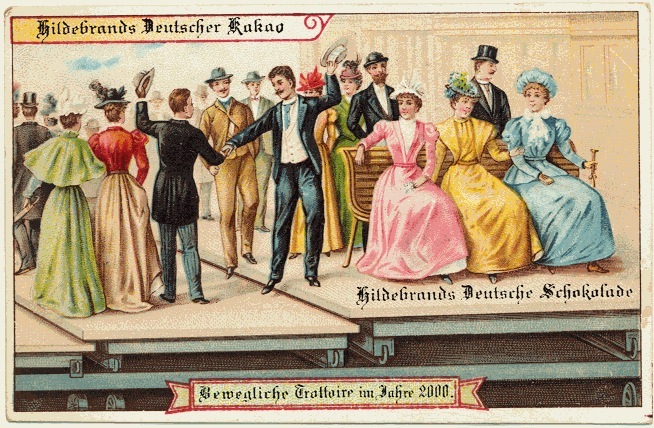 The site claimed that the postcards were produced by Hildebrands (a leading German chocolate company of the time).